Originally from Costa Rica, Silvia was trained as a graphic designer and artist. She began exploring different avenues in community arts and social documentary photography. 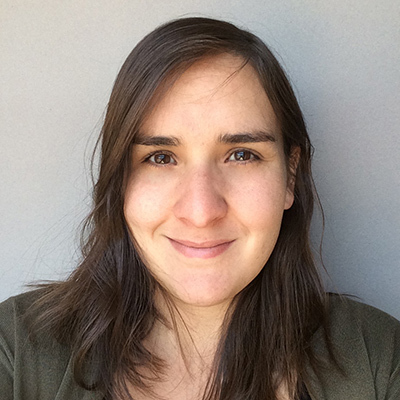 Silvia embarked on long-term projects documenting rural and migrant populations in the Central American region. She relocated to the US in Fall 2014 to attend graduate school, where she focused her work in exploring the intersection between design and immigration rights and developed projects that aimed to make culturally sensitive information accessible to asylum seekers as a form of decoding the highly disjointed U.S. immigration system. Silvia has a BFA and Licenciatura in Graphic Design and a BFA in Sculpture from the Universidad de Costa Rica. As a Fulbright Scholar, she received an MA in Social Design from the Maryland Institute College of Art (Baltimore, MD). Before moving to Pittsburgh, Silvia was involved at the Center for Social Design at MICA as a Robert W. Deutsch Social Design Fellow. Her research interest is focused in understanding processes of acculturation, enculturation and assimilation through design, specially dealing with immigrant and refugee populations.